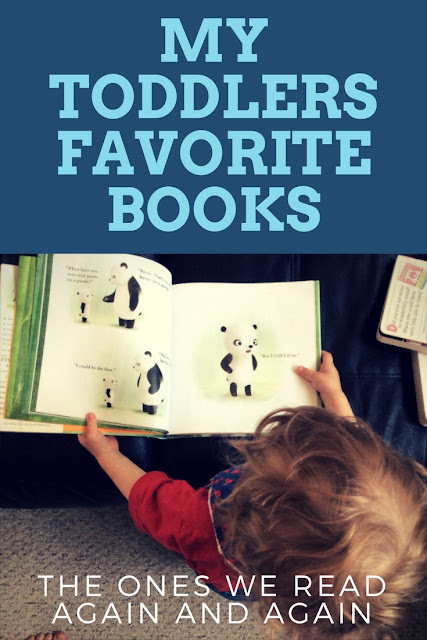 Library books can be hit and miss for a toddler. Have you ever noticed that? I find about 50% of the books we check out he just isn't interested in at all, and will wiggle out of my arms to go get another, or just close the book and say "all done". And it's for many different reasons. Some have too many words. Some are really uninteresting. Some have pictures that just don't translate well for little ones. But some are perfect. 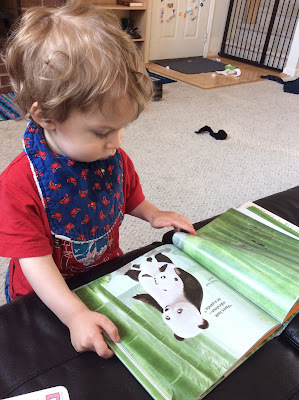 And this post is about Reuben's top three library books that he loves, and that we check out over and over and even request holds on! The first one he really enjoys is The Bear Ate Your Sandwich. Even I enjoyed this one! 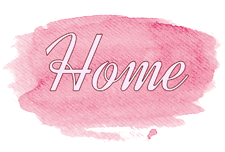 There is a cute little twist at the end, and the whole tale is well drawn and well written. 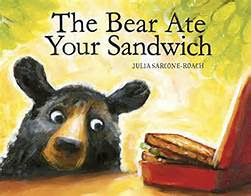 I don't tire of reading about how bears make it to big cities to steal sandwiches from little girls. When we picked up Panda Pants at the library I read it six times to Reuben in the first day. Daddy does the best voices, and also read it to him a lot that day too! It's written like a conversation, and it's really easy for a toddler to understand and grasp. Also, the drawings are vivid but not cluttered: perfect for a very distractable toddler who gets overwhelmed by lots of colors and prints easily. I did get tired of reading it so much (he like LOVES it to the point of obsession) but we will be checking it out again. 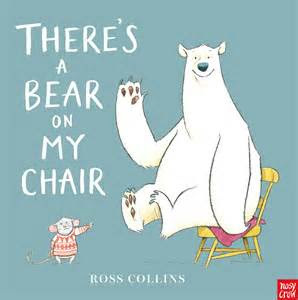 The last, but definitely not least book that we enjoy is There's a Bear on my Chair. This book also has simple, clear pictures that are done well. And the words are large and easy to read. But my favorite part, as the parent reading the book, is the rhyme! 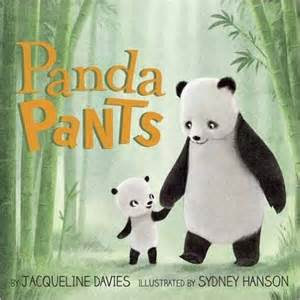 The story rhymes and flows well and is fun to read aloud to my toddler. Who loves pointing to the mouse! 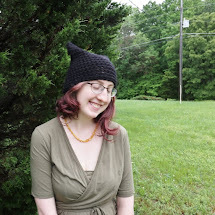 And also, the mouse's sweaters are to die for and I must knit a miniature version! What does your toddler like to read? Please give me suggestions! Hunting through rows of books at the library with a squirmy toddler is difficult. Usually I just grab and go, and we end up with a lot of duds.